This gorgeous concept piece was created by Steve Brown of Tauranga, New Zealand for the 2011 World of WearableArt Awards. 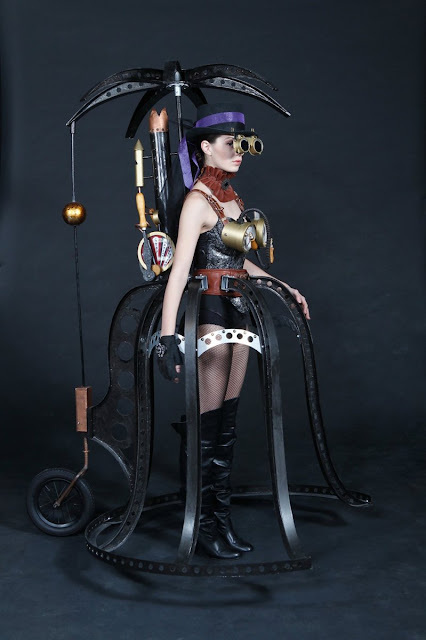 Mr Brown's entry, called When Brunel met Chanel, follows the Victorian "steampunk" style, which he says involved taking a 21st-century device and reverting it to the Victorian era. 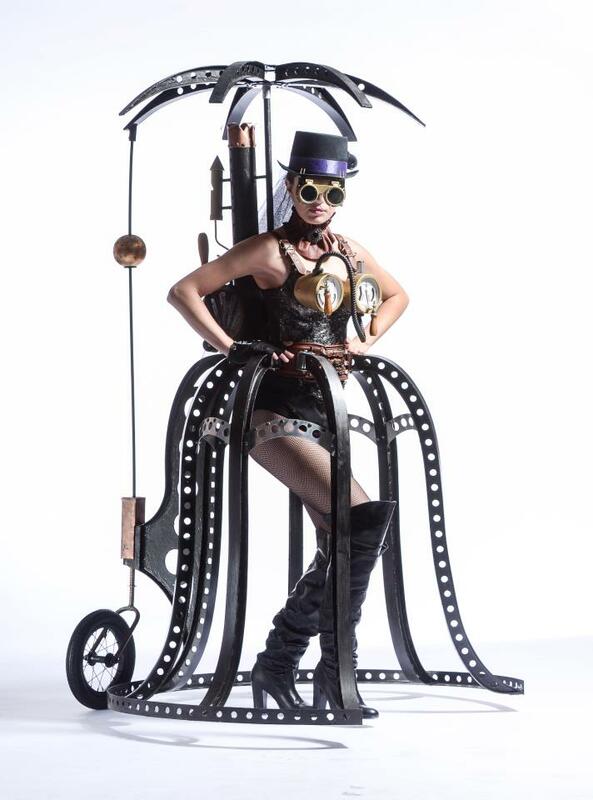 Made from lightweight MDF wood, Mr Brown's dress features a penny-farthing wheel, parasol, a pressure-gauge bra, horse's girth belt and even a built-in chimney. "This is a form of transport designed for the upmarket woman in the turn of the century, who is going out riding," he said. On a budget of "nothing", he collected pieces from construction-yard skips, hardware stores and even the local golf course.